I had a chance to visit the fabulous Loren Luca Spa at Cameron Village and I was taken by the ambience as soon as I walked into the door! As soon as you step inside the building, you’re greeted by this soothing lavender paint color and a chic capiz shell chandelier. It’s a stark contrast the the unassuming exterior and an invitation to shed the seen and unseen layers we’ve piled on to get through the day. I think we all can agree that self-care is so important but how many of us are actually taking the time out to do it? At Lorena Luca, a variety of spa services from highly skilled professionals. You can spend an entire day indulging in a facial, massage or full body scrub. Need a little boost too? They offer injectable services as well. One of my favorite aspects of the spa is their steam room that is available to each guest after they complete a service appointment. The plush guest lounge area is perfect for a group of girl’s or for an extra special date night. Lorena Luca is a special treat for those of us that can get to experience their professional services, but you can also create a spa-like oasis in your home! I’m going to give you a few tips on how to create a peaceful, beautiful sanctuary of your own at home. Creating a beautiful foundation is key when conjuring your own spa-like environment at home. 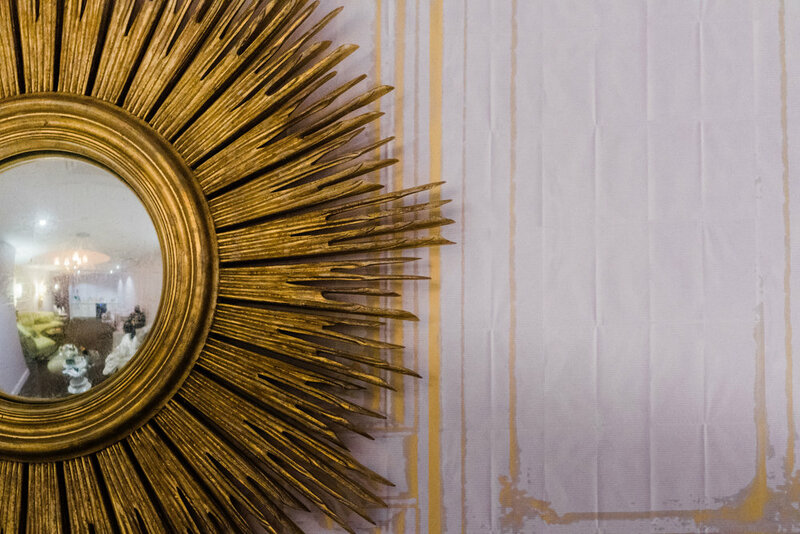 Lorena Luca has transformed their space with rich paint hues and highly textured wallpaper. 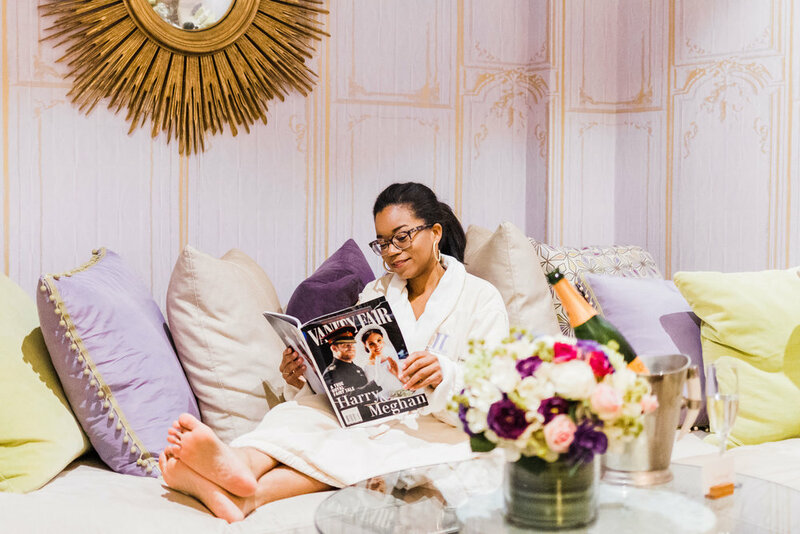 Before & after your spa treatments, a little lounge and de-stressing time is totally necessary. To complete the full experience, a luxiurious robe is an absolute must. Lorena Luca has these incredible robes that have a plush fleece lining and are heavy enough to make you feel like you’re being hugged. They would be a great holiday gift and they’re on sale at the spa for $88. 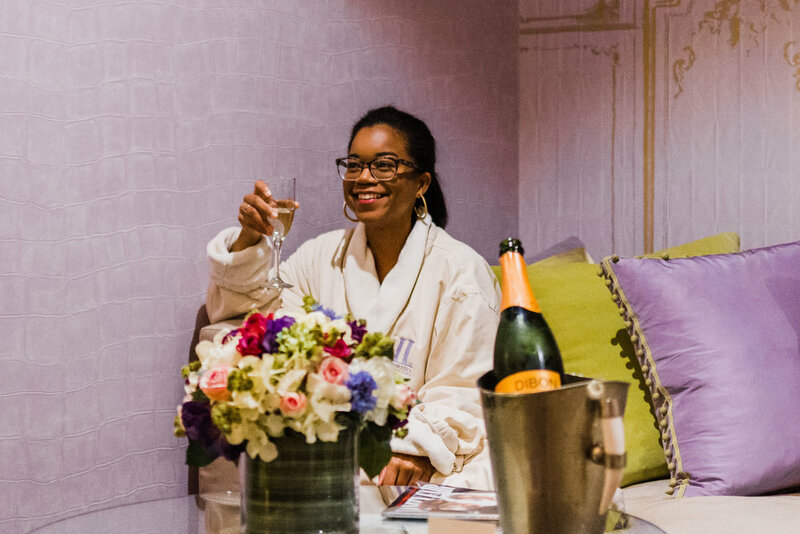 For the month of November, they are offering a free spa gift with the purchase of a robe, so you can knock one holiday gift off your list and treat yourself too! From the time you enter the spa, there are so many beautiful light fixtures that adorn the space. I truly believe lighting is like the jewelry to your outfit! It can take an otherwise ordinary space to a whole new level. Upgrade the lighting in your space with metallic finishes and whimsical shapes. Add dimming switches so that you can set the mood for relaxation. Layer up your room with pillows made in velvet, fur and silk. All of these texture are so comfortable to the touch and will just add layer of sophistication to the room. 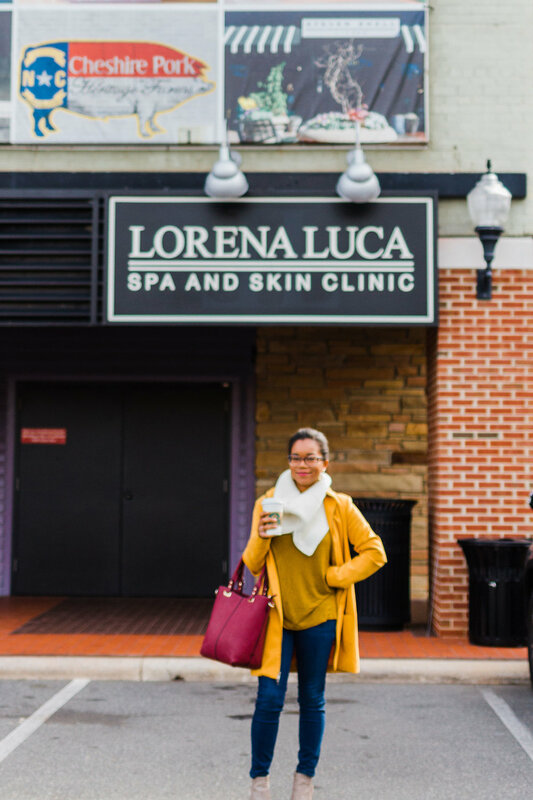 Visit Lorena Luca Spa at Cameron Village and get a free spa gift with the purchase of one of their insanely comfortable robes until November 30. Thank you to Cameron Village for sponsoring this post! Thank you! Use the code TURNKEY to get 20% off your purchase of $200 or more in our shop.